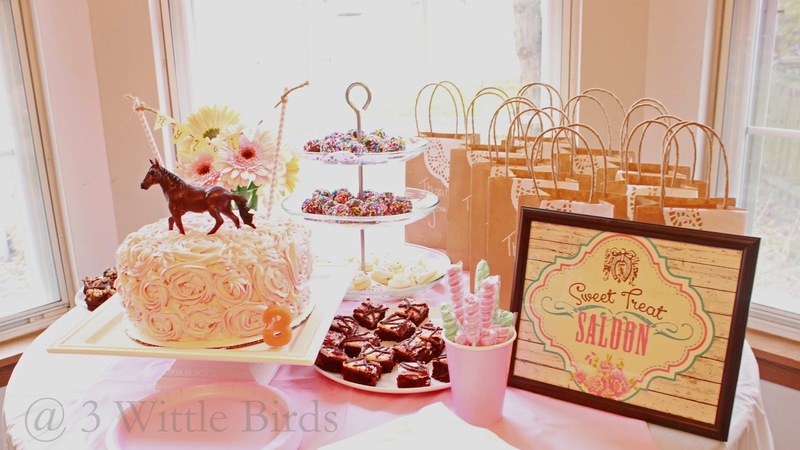 My youngest turned 3 last month and I finally managed to get some pictures up of her party. It's been such a whirl wind lately with finishing up my degree, Girl Scouts, and work. I just have one week left to feel the freedom from school!! I had vases of pink and cream gerbera daisies all around. It was such a pretty detail. I got the flowers at Trader Joe's. I just love their selection and they always have exactly what I am looking for. 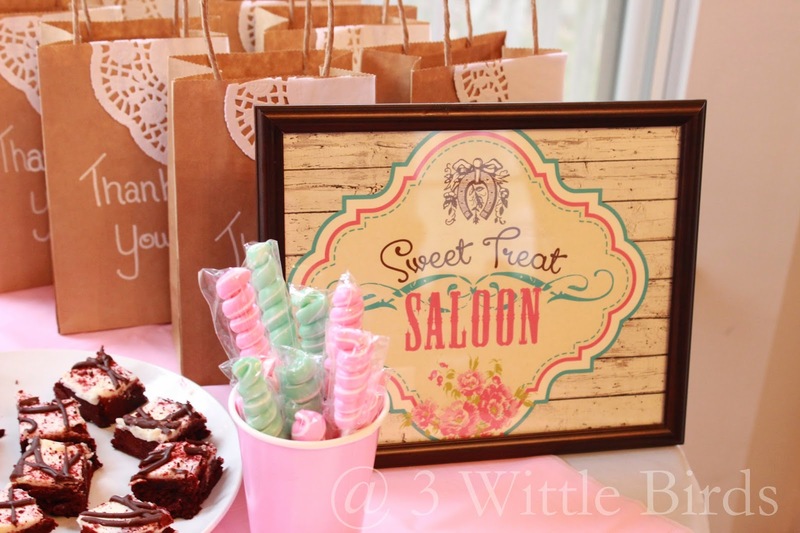 Party favors were presented in paper goody bags. I cut a doily up in 4 quarters and used rubber cement to add them as an accent to the bags. 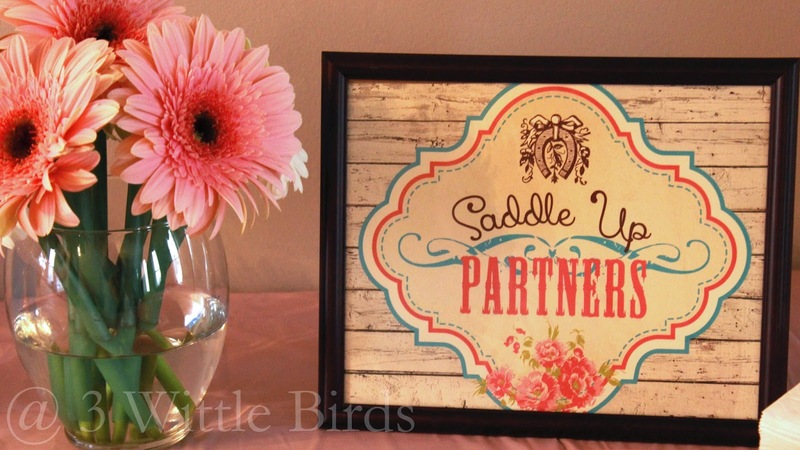 The doilies were purchased from the Dollar Store. I used a chalk marker to write "Thank You" on each of the bags. You can pick those up at Walmart or a craft store. I made the cake myself. I had this elaborate plan but when it came down to the night before and I didn't have the right cake pan I went with the tried and true 9 inch cake with the rose frosting details. This method of frosting is super easy to accomplish and everyone always compliments me on it. 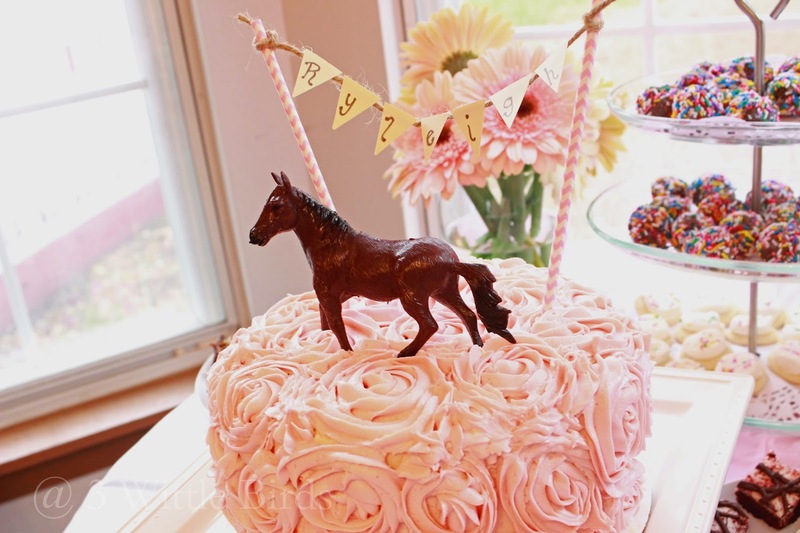 We had a left over pony from having extra party favors so that was part of the topper along with a "Ryleigh" sign. 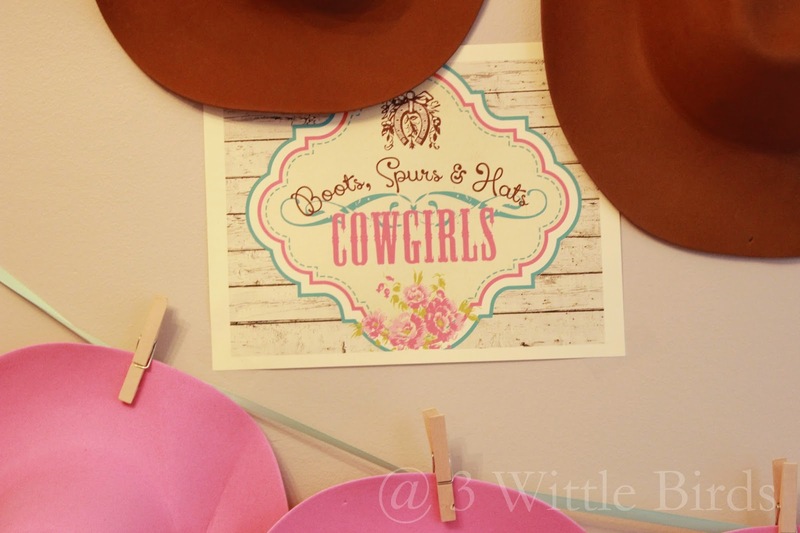 I used pink chevron straws, that I purchased from Walmart, as the poles to hold up the sign. I also added the sprinkled doughnut holes for fun and whimsy. 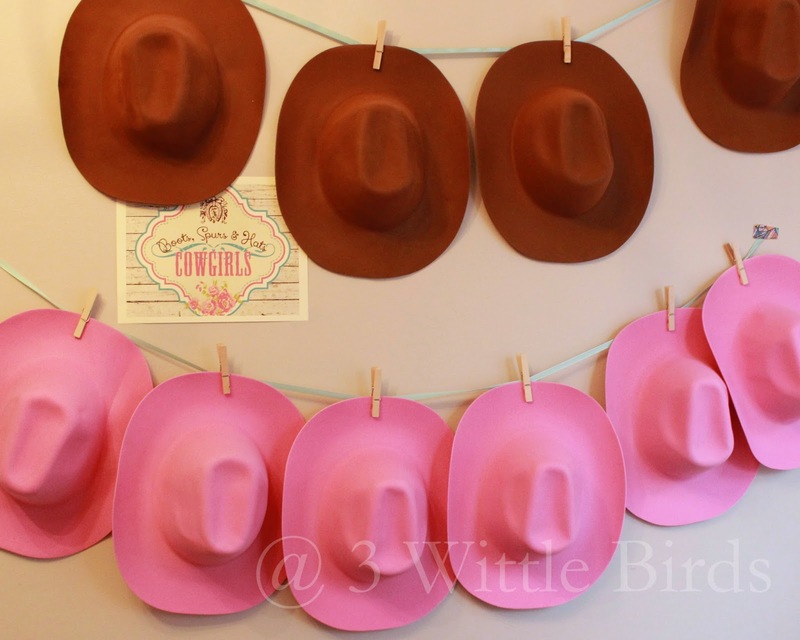 Cowboy and cowgirl hats were strung up for each kid to wear throughout the party. The kids loved this idea!